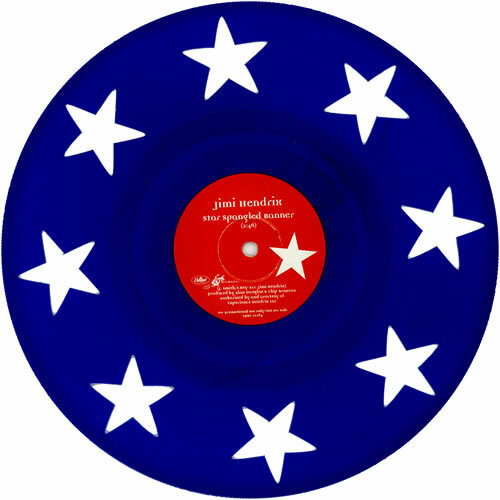 JIMI HENDRIX Star Spangled Banner (Super Rare & Official 1994 US promotional-only 1-track 10", pressed on Translucent BLUE VINYL. Plays the same 2:46 version both sides. 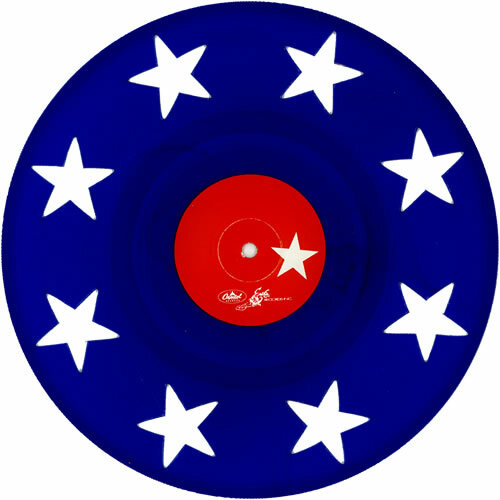 These were presented exclusively to employees of Capitol Records at a company picnic on the 4th of July that year. Fewer than 200 copies are believed to exist. The custom printed red & white labels & playing area cover the central 6" of the disc. The 2" outer edge has eight stars cut into the vinyl which proved to be such a difficult process that most were destroyed during production! The vinyl appears near 'as new' on this extremely rare example SPRO-11284).